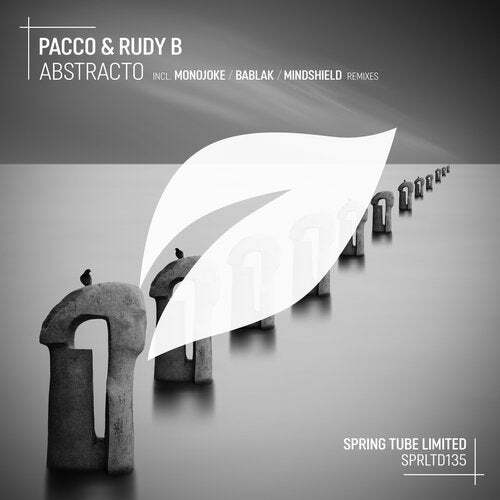 Spring Tube Limited' 135th outing is the next full single release for the tracks from our latest sampler, and it's for "Abstracto" by Pacco & Rudy B. After two remix works for us in 2010 we're happy to welcome back on the label the Croatian duo Pacco & Rudy B with their first personal release with us. This single includes a gorgeous original version and a three great different remixes by: Monojoke (who returns on Spring Tube Limited after remixing for us Soulfinder & Shane Robinson's "Dopamine" in 2016), Bablak (who returns on our label after his 'Parnas' EP past year), and Mindshield (who returns on Spring Tube Limited after remixing for us Stephen J. Kroos' "Pathogenicity Of Mutations" in 2013).